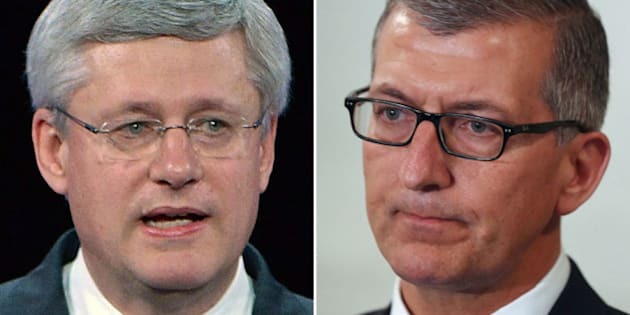 Newfoundland and Labrador Premier Paul Davis emerged from a meeting with Prime Minister Stephen Harper Friday evening saying the province will not be able to access a fisheries fund link to the EU trade deal. However, a statement from the Prime Minister's Office said the agreement was "never intended to be a blank cheque" something the federal government said earlier in the week. The two have been meeting to discuss a disagreement between the provincial and federal governments on funds associated with the free trade deal with the European Union. "I leave here very disappointed. I can tell you that it's very clear to me that we cannot trust Stephen Harper, cannot trust this government," Davis said, following Friday's meeting. According to Davis, the Prime Minister "reneged" on the deal between Ottawa and the province for a $400-million fishery fund. Davis said the federal government now only wants to provide compensation for the elimination of minimum processing requirements (MPRs). "The agreement that we had is an opportunity to rebuild the fishery in Newfoundland and Labrador, and he's clearly reneging on that deal," said Davis. "He's going to say that the fund is there to be utilized, but on the conditions he's put on it we'll never be able to utilize that fund." He added that could mean a portion of Ottawa's 70 per cent contribution to the deal could go to other provinces, if the cost of getting rid of MPRs was lower. Davis said Friday following the meeting that Harper "did not budge," adding the Prime Minister was intent on linking the money with MPRs. Upon his return to the province, Davis said he would meet with his cabinet to decide what direction government would take, and discussing their support of the free trade deal would be high on the agenda. In a statement issued Friday evening, the Prime Minister's Office said the deal is the same as when an agreement was originally made. "The Minimum Processing Requirements fund was always intended to compensate hard-working Newfoundlanders and Labradorians for demonstrable losses as a result of the removal of these requirements; it was never intended to be a blank cheque," said the statement. "Prime Minister Harper also said that federal funds have already been allocated for this purpose. We look forward to receiving specific proposals from the Government of Newfoundland and Labrador." Minister Rob Moore, Newfoundland and Labrador's representative in the federal cabinet, said the federal government is committed to working with the Government of Newfoundland and Labrador, and the money for the agreement is still on the table. Moore added the deal with the province was a compensation fund, and to access the money government must show financial losses from the elimination of MPRs. Davis previously said the province might withdraw its support for the trade deal if the dispute can't be resolved. In 2013, the government of Newfoundland and Labrador announced the federal government would pay for 70 per cent of the Comprehensive and Economic Trade Agreement (CETA) fund. It was designed to compensate the fishing industry after the trade deal with the European Union comes into effect. Federal NDP Leader Thomas Mulcair brought up the issue in the House of Commons on Thursday, criticizing the federal government on the trade deal. Mulcair suggested Ottawa is changing its position on the CETA fund. "Now we find out that the government is imposing conditions that will mean, in practical effect, that the $280 million they promised will never flow," he said. "Why make the promise to Newfoundland Labrador and break it such a short while later?" Rob Moore, the minister responsible for ACOA and the regional minister for Newfoundland and Labrador, defended the government's position. "The fund was created to compensate for anticipated losses from the removal of minimum processing requirements," he said. "The fund was never intended as a blank cheque that would give the industry of Newfoundland and Labrador an unfair advantage over other Atlantic provinces. We've been very clear from the start that the MPR fund was to compensate for demonstrable losses." Friday's meeting between Davis and Harper was scheduled for 6:30 p.m. Newfoundland time.